No closing of BAR Hotels till September 30: Supreme Court to Kerala Govt. 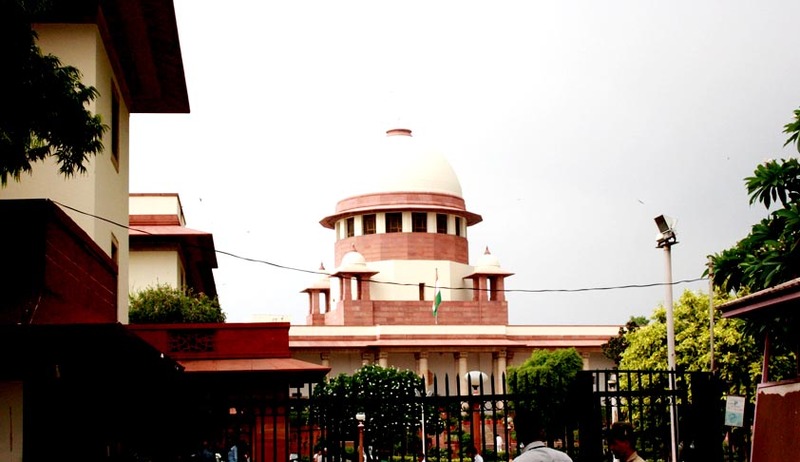 The Supreme Court today restrained the Kerala Government from shutting down the ‘Bar Hotels’ till September 30, under the state’s new liquor policy that limits bar licences to only five-star hotels. The order has brought ahuge relief to non-five-star hotel bar owners as the state government was ready to initiate closingdown process against such bars as part of its plan to implement total prohibition in the state in 10 years. The Supreme Court bench of Justice Anil R Dave and Justice U.U.Lalit directed the government not to take coercive steps against such ‘Bar Restaurants’, thereby effectively suspending the implementation of the new excise policy till the end of September. There is a batch of petitions filed in the Kerala High Court on the issue. Since the High Court refused to grant interim relief of stay of closure notice, the Bar Hoteliers had to approach the Supreme Court. The Supreme Court has further requested the High Court to hear the Writ Petitions expeditiously positively by 30th September. During the course of arguments, the Court cited Gujarat as an example, and suggested that if the State Government was so concerned about drinking as a problem, it should look up to Gujarat, where there is total prohibition. Justice Dave reportedly said “If it (drinking) is a social problem, then stop for everybody. This has gone on for years. Why stop it abruptly? If you (State government) think this is a bad thing, stop it. But do it for everyone,” to Senior Advocate Kapil Sibal who appeared for State of Kerala. While Mr Sibal responded by saying that liquor consumption has a social impact on the family and “Savings of the family are spent on liquor,”. Meanwhile Senior advocate Fali Nariman, appearing for bar owners, said that the policy is defective at the outset. “Now a person can very well go to a toddy shop to buy liquor or go home and drink,”. Justice Dave responded by saying “individual discipline and not State discipline is required”. Senior Advocate Aryaman Sundaram, who was also appearing for bar owners, submitted “you cannot distinguish between the rich and the poor. This is like saying let them dance in five star hotels and not in other hotels”, to which Mr. Sibal responded by saying “dance and liquor are different commodities. May be one leads to the other. Till liquor prevails, there is social evil in Kerala”. However, Mr. Sundaram stuck to his argument and said “But what is the point of this prohibition? Clubs at five star hotels are allowed. Toddy is left untouched. Only 10 percent government outlets will be closed every year. The quantity of liquor has not curbed,”, to which Mr. Sibal said that five star hotels are a class by themselves. Ram Jethmalani raised the issue of legitimate opportunity to be heard and said that the bar owners have a valid license till 2015 and they should have been given a legitimate opportunity to be heard before their valid licences are prematurely forfeited. The Supreme Court in the previous hearing had also questioned the logic behind the policy, more can be read here.